Automotive consumers have become increasingly tech-savvy and have started using mobile applications for each phase of ownership starting from research to maintenance. To the automakers, mobile applications provide another touchpoint to connect and engage with the customer. 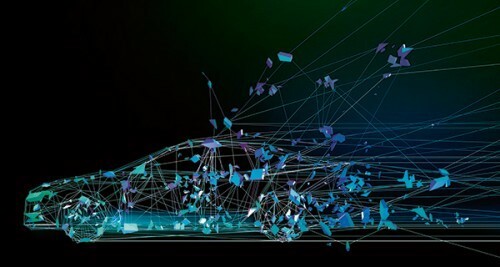 Automotive OEMs are increasingly looking to move from their traditional Product Development paradigms to more agile approaches to bring new features or services to market and create cutting-edge digital services for consumers. With mobile apps being the ‘next big thing’ in the automotive consumer journey, automakers are looking for opportunities to augment their service experience through mobile apps – both inside the car and outside of it. The average lifespan of a car is 8-10 years while a typical car lasts closer to 200,000 miles. Traditionally, the product development cycle is long in the automotive industry, but integration of the digital aspect has shortened the lifecycle of several services. Typically, software upgrades happen at a faster rate than hardware updates. While this software/hardware lifecycle-gap can create dissonance and dissatisfaction in automotive owners, Mobile apps can mitigate this by bridging gap. Although they cannot offer features that are not physically present in a car, they can increase the capabilities of the driver through the integration of smartphone with the car. In the age of Internet of Things (IoT), there will be an explosion in the usage of sensors and ‘Connected’ devices. The software services will be able to keep up with it, but they might not be integrated at the same rate in the vehicles, unless a common platform is developed to support them. The major important categories considered to leverage the mobile technology are listed below. 1. Navigation: Help a driver navigate his surroundings in a better way. 2. Maintenance: Allow the owner to maintain the car though enabling features like scheduling dealer appointments and other service/repair/maintenance related features. 3. Emergency: Assist the driver through an emergency or unforeseen calamity. 4. Parking: Taking care of the parking needs of the user like allowing user to find parked vehicles or finding parking spaces for the vehicle or making the payment for parking. 5. Remote Control: Allow the user to control certain features of the vehicle without being physically present inside the vehicle. 6. Others: Vehicle Diagnostics; Entertainment; Phone Features; Security etc. A closer look at the app downloads compared to the unit manufactured for the OEM reveals that very few people actually install mobile applications after purchasing a vehicle; which seems a little counter-intuitive. The percentage values ranged drastically from one per cent to 27 per cent for OEMs and higher percentages were observed for Electric Vehicles. Total Number of people that use Mobile Apps is 5 Million which is distributed amongst the OEMs. • Many-a-time users have pre-conceived notions about the app based on what they hear from an official source, and this leads to an inherent bias and expectation. After they download the app, if those expectations are not adequately met, it causes dissatisfaction thus leading to poor ratings. • Clutter of app downloads as Customers sometimes need to download multiple Apps to achieve full-fledged functionality. • Customers come to the store expecting to download some app, but are unable to find it on the app store as app store uses localization to display the apps available in that country. • Every time a user uses a product, they invest some time and effort into it. Downloading also consumes data which translates into money spent. After downloading they realize the app is unable to provide what they are looking for and hence the low ratings. There are advantages and disadvantages of both specialization and generalization. Providing everything within a single app will make it bulky and unnecessarily complex, whereas splitting it into multiple apps each app will make the apps lighter and simpler but will make things difficult to track by customer. OEMs have to find a balance between these two issues. Rather than trying to create an app that creates a Wow affect, it is more important to create an app that is glitch free. Glitches/Abort stops are the major reason people leave a one-star ratings. Android Auto, CarPlay and MirrorLink are device interoperability standards that replicate the smart phone’s screen on the car’s dashboard. This helps the driver as it is easier to use the car dashboard while driving rather than using the smartphone. The vehicle and the smartphone agree upon a communication protocol in order to communicate. This architecture is due to the fact that smartphones have more processing capacity than cars. However Cars will eventually have much more capabilities due to increase in hardware and will eventually have their own Operating System where apps can be installed. The Nature of Mobile Apps is also evolving. Some App providers are moving towards Hybrid Apps which provide benefits of both Native Apps and Responsive Websites. In future, it is expected that the cars will, in fact, act as computers on wheels with their own operating systems; and apps that can be installed on the car itself. It would be much more efficient system, but will require some more time before it is implemented. Other trends like In-Vehicle Occupants Health monitoring and providing Location Based Services based upon the driver behavior will also have an impact on Automobile Industry and eventually the App Industry also.